The water damage Pomona techs at 911 Restoration of Los Angeles is proud to serve the community by being available 24/7/365 to support you as soon as you need our help with a flood or a leak, the very same day you need us, no matter what situation you may find yourself dealing with. 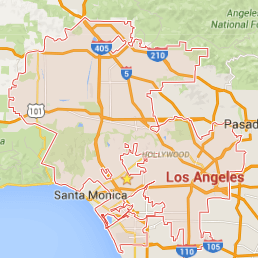 Homeowners can trust in our licensed, bonded, and insured water damage Pomona team to bring them water disaster mitigation within 45 minutes of contacting our office. Moreover, the mental distress of disaster is what we truly aim to aid you with, as restoring your home will peace your state of mind back together. Before you even call our water damage Pomona agents, we want you to know that everything is going to be better than okay, things are going to be better than they were before. We try to bring homeowners all over southern California a fresh start, and that means bringing you a renewed tomorrow after you have faced a water damage incident, so call us today! Water damage comes in many forms that are everything, but fresh. For example, sewage backup is a form of water damage that is extremely hazardous. It is classified as a category 3 event because of the negative affect it can have on human health. Backups occur in a number of ways, but the mostly likely culprit of it is when homeowners ignore clogged drains. A signs of a clogged drain is when water or flushes take longer than usual, or there is a gurgling following water movement. Now, a homeowner may be tempted to go out and buy a commercial abrasive such as drain-o, but our water damage Pomona pros advise against that and urge homeowner to try a more natural approach first. Pour one cup of baking soda down the drain, and then follow it with one cup of salt and one cup of white vinegar. Wait for the bubbling then after about 10 minutes rinse it down with boiling water. Repeat this as many times as needed. If you experience a pipe burst or backup as a result of clogged drains, then call the water damage Pomona crew to day and we will provide you with a free home inspection as soon as we arrive on the scene. Accidents are spontaneous, so we want you to know that our water damage Pomona professionals are here to get you through any water incident you experience. The certification process we take makes us industry leaders in using the latest restoration technologies and in implementing a blend of the latest remediation techniques. 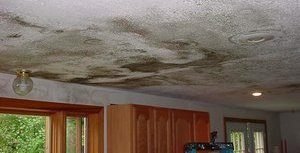 Whether you need water restoration following a fire, sewage backup, roof leaks, or a pipe burst, then you can trust that our water damage Pomona technicians know exactly where to start. The first step to bringing you back into an existence of tranquility means that you need to know the the full extent of the damage, ensuring that there are no surprises later on down the line. 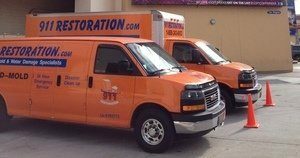 Our water damage Pomona operation values professionalism here, and to show that we truly care about our customers—we explain every step of the restoration process to them. If you are experiencing any type of water-based disaster damage, then call the water damage Pomona team at 911 Restoration today and we will be there to provide you with a fresh start.